Whilst in the midst of cold, grey days it can at times feel like winter will never come to a close in Paris. Then just like that you notice pops of colour all over the city. 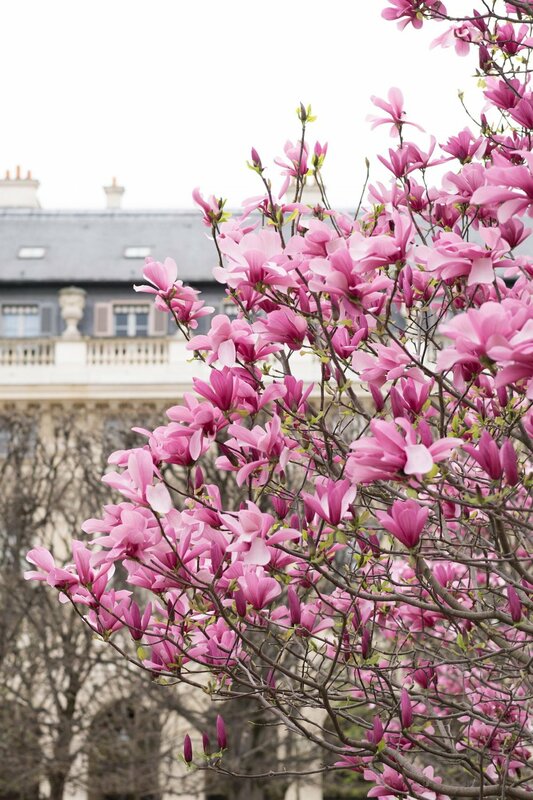 Experience Paree in bloom with this two part spring series. 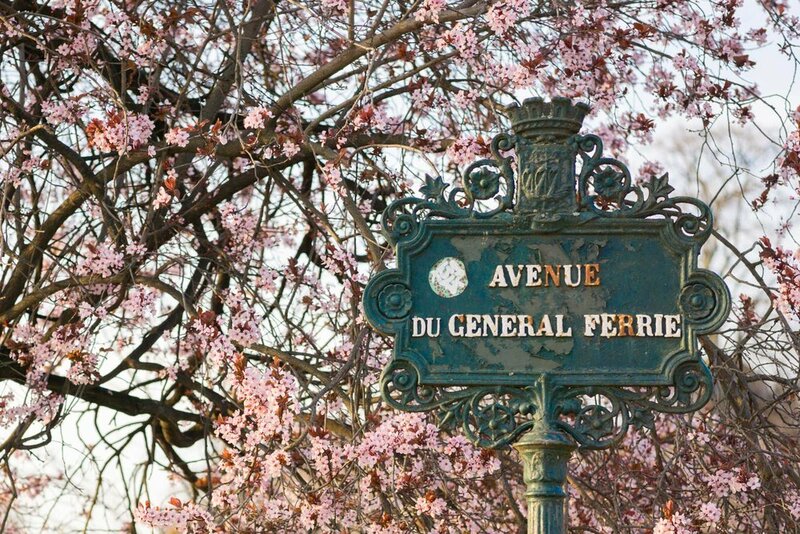 Here is part one of the best places to visit in Paris for beautiful spring flowers. 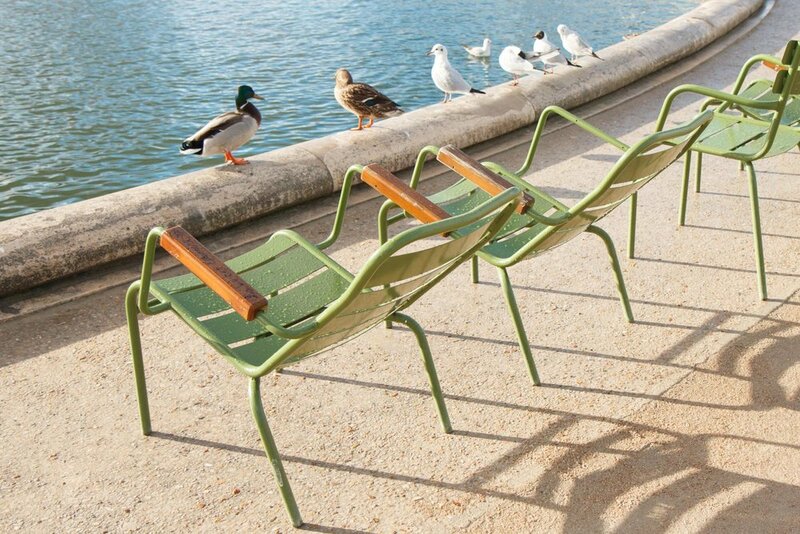 One of the first locations in Paris to show signs of spring. A simply stunning garden, with beautiful magnolias and adorable daffodils blooming before leaves return to the surrounding trees. Experience the intoxicating scent of the magnolias as you stroll around the garden. With whimsical architecture, fountains (perfect place for a petite pause) and statues greeting you with every turn. By far my favourite garden to explore in Paris, regardless of the season. Also make sure to wander through the black and white striped Colonnes de Buren whilst visiting, which you can see more of here. 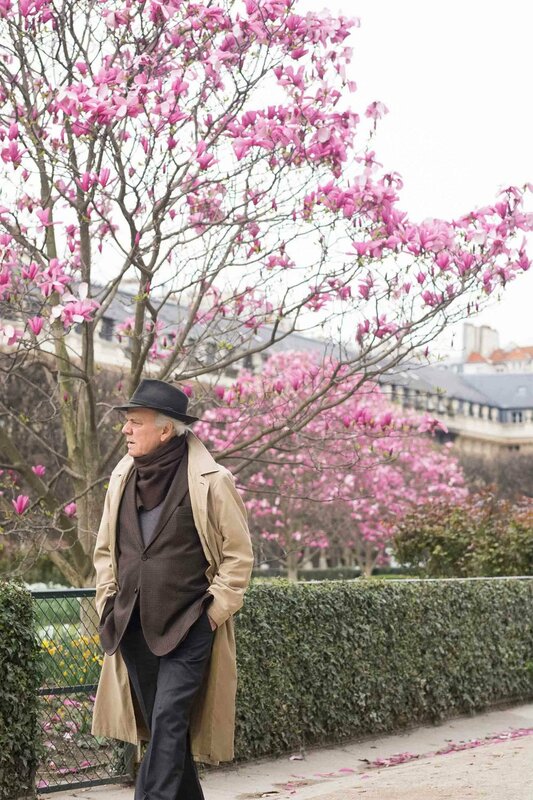 Early to mid - March for daffodils and magnolias. Early to mid - April for tulips. A must visit even if it's just for a quick stroll whenever you find yourself near the Lourve or Place de la Concorde. Glorious purple Judas trees pop up around the gardens. Surrounded by a bright rainbow of tulips. Take in the beautiful spring blossoms near the perimeter fountains, which are often much less crowded than the two large fountains down the middle of the garden. 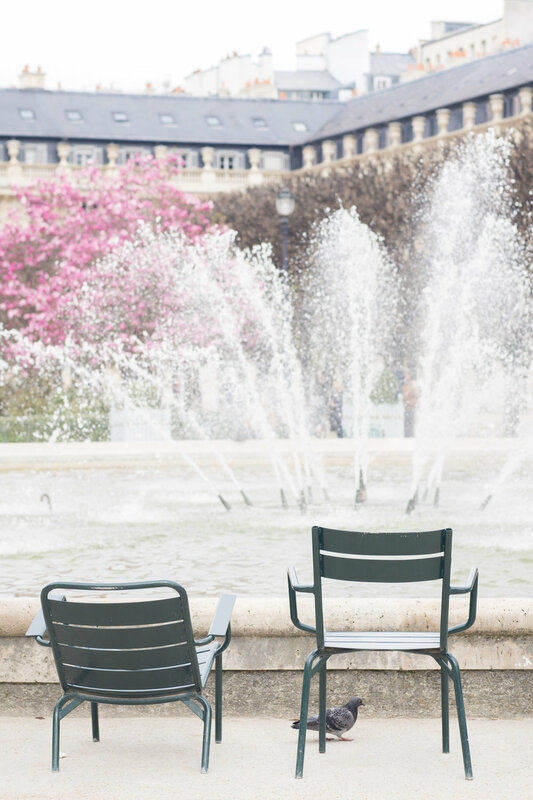 You can further indulge your love of flowers at the Musée de l'Orangerie, which is located in the west corner of the garden near Place de la Concorde. A beautiful space, which is home to impressionist and post - impressionist works, including Monet's Nymphéas series. During autumn the leaves on the trees transform into warm shades of red, yellow and brown. Creating a delightful sea of crunchy leaves, which you can experience more of here. April for Judas trees and tulips. 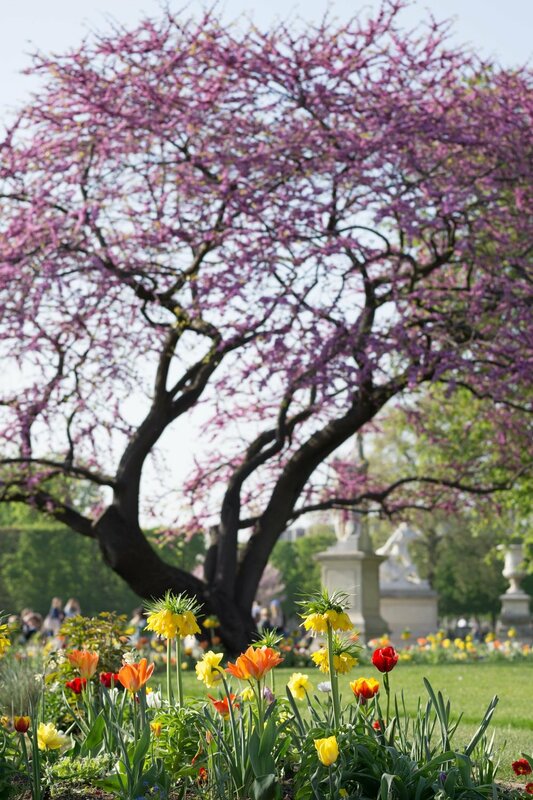 Take in the Eiffel Tower whilst surrounded by beautiful spring blooms. 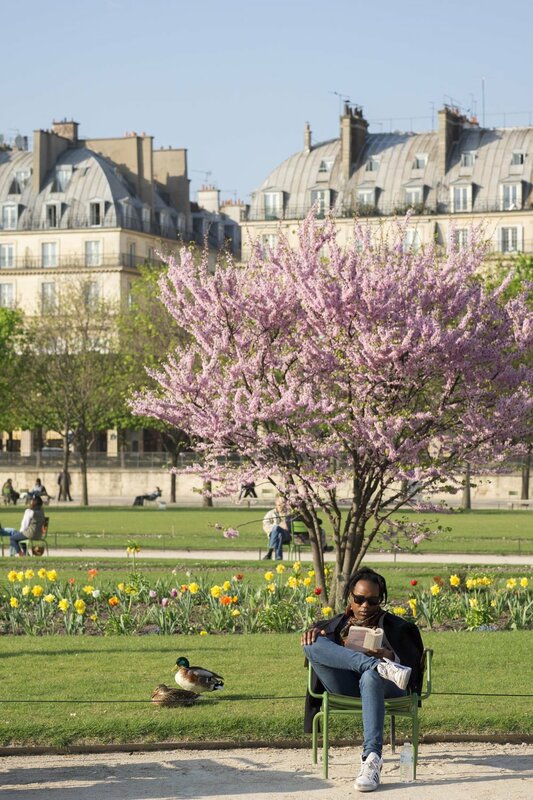 The park is surrounded by beautiful architecture and there are plenty of benches and picnic spots on the grass. Want to see more cherry blossoms? 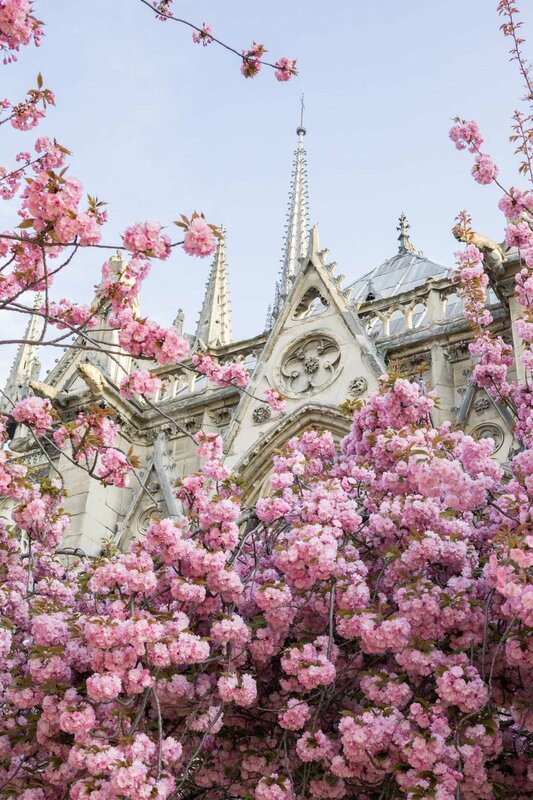 Experience the Eiffel Tower in dreamy bloom here. Mid - February onwards for plum berry trees. Early to mid - March for magnolias. Early March to late April for cherry blossoms. A lovely, small square on the left bank side of the Notre Dame Cathedral. This beautiful park features magnolias and cherry blossoms. Creating a stunning sea of pink, which can be seen from across the river. You can explore more of this wonderful place here. Early to mid - March for magnolias. Early to mid - April for the beautiful Kwanzan cherry blossoms. 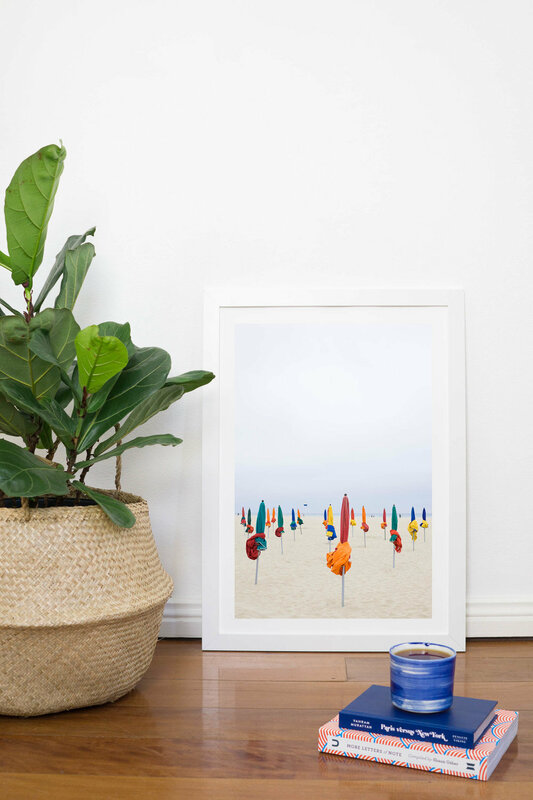 Fancy a day trip from Paris? 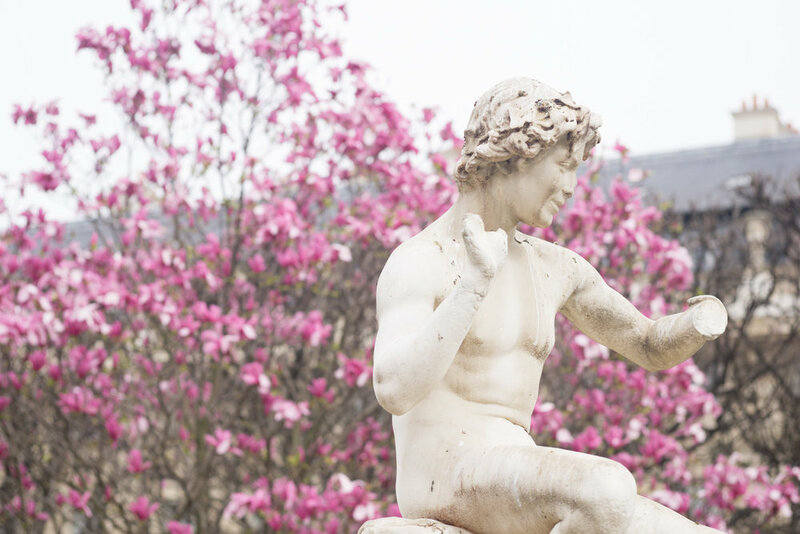 Visit Parc de Sceaux to celebrate Hanami under sea of Kwanzan cherry blossoms. You can find further details on when to visit here. 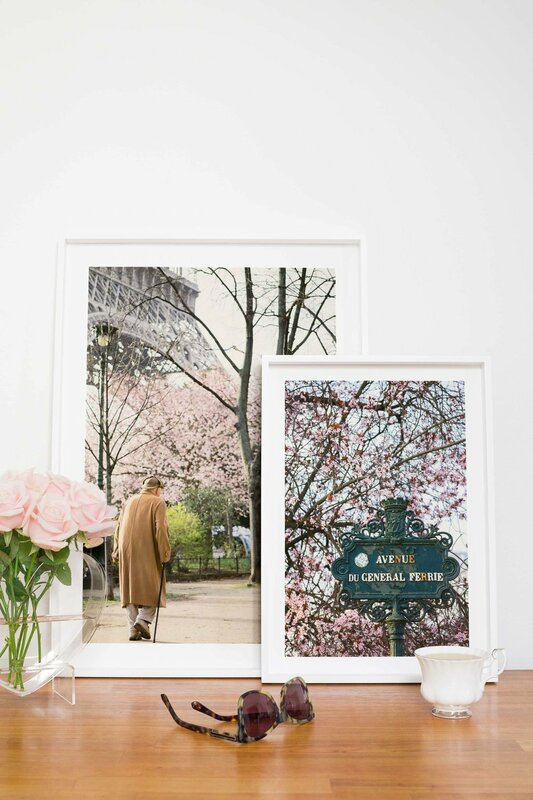 Want more dreamy spring blooms?! Peruse part two here. Have you visited any of these places before? Do you have a personal favourite? Post a comment and let me know! 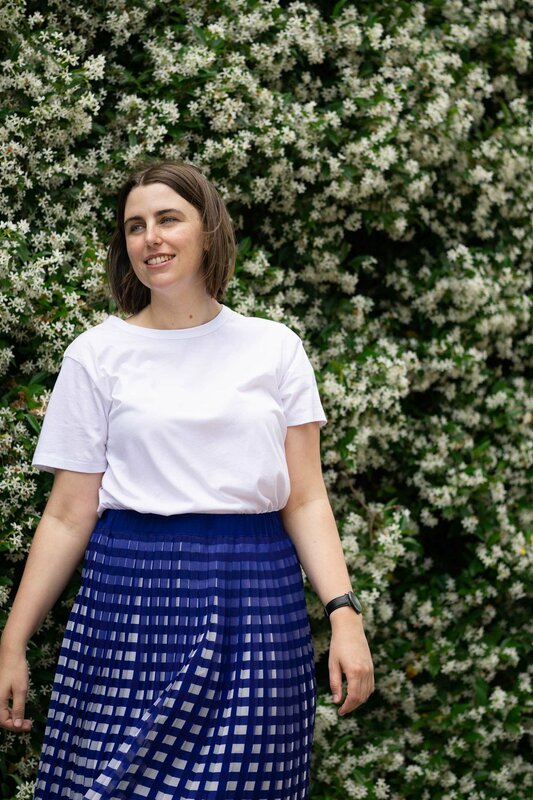 Wandering through tranquil gardens is always a wonderful escape whenever I am exploring a new city. The lush greenery and beautiful architecture at the Palais - Royal and gardens are always a much welcomed sight. Not to mention the lovely caffeine hit from Cafe Kitsune. A must visit whenever you are lucky enough to find yourself in sweet Paree.